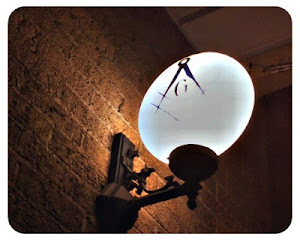 The Midnight Freemasons: To Learn. To Subdue My Passions. To learn to subdue my passions. As Freemasons we have heard this phrase many times. Chances are you have even recited it. Have you truly thought about it what it means? To be completely honest, when I asked a friend of mine for a petition to join the Craft, I really had no idea what Masonry was about or what it offered. I had never heard the slogan “We make good men better.”, I just remember some friends of my parents who would come to the house when I was a small child, and several of them wore a Masonic ring. Many times since becoming a Master Mason, I've asked myself "How does attending lodge make me a better man?” It can't be the meal we serve or the opening of the lodge. It sure isn't the Secretary reading last months minutes or Brother Treasurer telling the members how much money we have in the bank account. I was beginning to think I was missing the point. It finally occurred to me one night while sitting in the lodge room as the lodge officers were opening the lodge. While my premise may be simplistic I feel it is fairly accurate. I also believe all Masons feel these things are important I think the different generations place the importance in different areas for different reasons. To learn: You have been learning since your mother gave birth to you. You learned to sit up, talk and eat without assistance before your first birthday. As you progressed in age you attended school. You never quit learning. The question remains, what can you learn from attending lodge? As you progress through your degrees you hear certain words and phrases. At first these words sound unusual because they are phrased in a way in which our language is no longer spoken. Understanding what is being said to you is difficult at first to understand because you aren't used to being spoken to in such an old tongue. I believe this is why the Craft asks you to memorize the work. Repetition and memorization helps your brain convert these words from gibberish to a beautifully spoken and largely forgotten language. Sadly today in Masonry we are convinced that the only reason we memorize these works is so we can advance to the next degree or learn the remaining ritual so we can help with the performing of the degree work. I truly believe this is one of the reasons men find it so hard to find what they are looking for in our fraternity. In my opinion memorization for advancement is only a small part of the catechism or lesson to be learned. Whether we realize it or not our ritual isn't just a bunch of words thrown together to sound pretty and impress people. The ritual is a roadmap for our journey to the East to find that which was lost. Each word of that beautifully phrased script is designed to be studied. I feel the archaic language is designed not to just sound impressive but to peak your curiosity and encourage you to research what you've heard. Each word and syllable should be dissected and studied to find out its meaning. Floor work is also very instructive. If you have taken an office in your lodge or filled a chair for an absent officer, I know you have encountered the floor work. When I was a young officer I hated floor work. No matter how hard I tried after we closed I had a Past Master approach me to tell me how I was doing the floor work wrong. Sometimes I would have several approach me at the same time to explain my errors and would get into a big argument about how I screwed it up. They would stand there and bicker back and forth about my transgressions and I would walk away and they never even noticed I left! These Brethren who were trying to help me have been told since they were new in the Craft how important the proper execution of the floor work is and wanted to stress the importance of it to me. Proper floor work is important for several reasons. First it does impress the candidate and secondly, when properly done, is very beautiful to watch. These Brethren, while well meaning, in my opinion missed the importance of this essential lodge function. Whether it is within the opening or closing of a lodge or within degree work, the floor work was designed to teach our Brethren about symbolism. Each step you take or how the deacons and stewards hold their rods is designed to display symbols in which, when researched give you a nugget of information in which you can add to your knowledge and ultimately to your self improvement. Sadly, most of these subtle movements are lost on the brethren who it is meant to instruct. Expanding your mind through the study behind the ritual and understanding the symbolism which is hidden within the floor work of the lodge is the first upright step on your journey from the darkness toward the light of self improvement. To subdue my passions: The second upright step in your journey to become a better man is learning to subdue your passions. I feel this phrase means learning to do things in moderation. We all know the Junior Warden is supposed to watch over the craft assembled and ensure that no one converts “Refreshment into excess” or don't have too much of a good thing. This is a lesson that is important to everyone. I also feel we each have to subdue our passions for different things. For some people their passion is alcohol, for others it is relationships or tobacco. You can become addicted to many things. My passion was with food. When I was raised to the sublime degree of a Master Mason I weighed nearly 500 pounds. I lived a sedimentary lifestyle and The darkness made me feel truly miserable and helpless. As I came to light I started to study and read every Masonic book I could find and truly began to embrace the Fraternity and I realized that if I would simply “Try to subdue my passion” and just eat half of what I would normally eat at a meal I would take in half the calories. I started calling this my “Masonic diet”. Eventually, slowly, I began to lose weight and I am now down to a more manageable size. Each of us has passions we find difficulty in subduing. In my opinion the self reflection we learn through the study of Masonry and its symbols will help you identify the passion you in which you need to control and place you on the right path to gaining control. I'm not saying it will be easy but since your faith is in God and is well founded with prayer and self control, you will be successful. 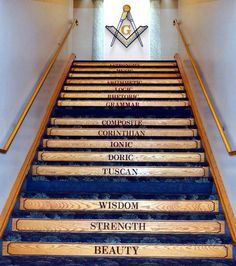 And improve myself in Masonry: Each of these upright steps will help us improve yourself in Masonry. Self improvement, like Masonry is a lifelong journey, one we will never complete. I feel the third upright step is continuing your journey by attending your lodge. Each of us, no matter who we are, need help in maintaining the progress we have made through learning and in our fight to subduing your passions. Interacting with Brethren who are on the same journey of improvement as you are should give you motivation to continue your work and help encourage another brother to work harder on his goals. Spreading the cement of Brotherly love does strengthen each of us. I know it is hard to see how sitting through a long dreary meeting of minutes and paying bills will make you a better man but if you can look past what Masonry has become and try to see “what has been lost” maybe you can find the working tools in the ritual to help complete your rough ashlar into something that's a bit more perfect. Nice article, Bill. It really does capture the essence of Freemasonry. In furtherance of your train of thought, the frequent use of the word "moral" in the ritual, Constitution and by-laws caught my attention. I spent years, even decades, reflecting on what it means to be moral. After analyzing the "moral laws" it occurred to me that morality is those actions and behaviors that lead to the good health and well-being of individuals and communities. In other words, morality is the condition required to produce, support, and maintain life. Moral actions and behaviors make people healthier, relieves the stress of those who are suffering, makes communities stronger, and improves the quality of life by fostering happiness. Freemasonry is a moral organization because it does all these things, and encourages its members to live such a life that results in good health and happiness for themselves, their family, their neighbors, their community, and their country. Such a life brings us closer to God, the Creator of all Life. As a newly initiated E.A. I found your words refreshing, and encouraging...inspiring too. Quite a few points hit home with me and help me to see I was on the right approach to my studies & path. Thanks for shining the light.